Emerson multi-brand remote codes for TV’s. 2 -Press and hold the TV key and press two numbers for your brand. 3 – If your TV turned off then you entered the right code and setup complete. code, look at the list and find your code. I have an Emerson TV and I got the black screen connected to the PC and now the control does not work. Tengo un Emerson TV y se me puso la pantalla negra conectada a la PC y ahora el control no funciona. I have an Emerson TV model # clc320em9 . I am trying to program a Philips 4-in-1 remote. I tried all the codes it came with as well as the autocode finder. I got it to program my roku but not the tv. the philips remote needs a 5-digit code. Help!! I have an Emerson flat screen DVD all in one. And I have a One for all universal remote urc-2085. Please help. How do I program the remote to the TV? This page on HIFI-Remote.com will explain step by step how to program a One For All Universal Remote Control URC-2085. I am trying to program a universal remote control for a older model Emerson TV. Not sure the year it was made but it has a big back and it’s about a 25-30″. I’ve tried every code that came with the remote, and a bunch more from online. I’ve even tried to let the remote auto program itself. Please help. I have an Emerson 32′ tv and I am trying to connect the remote from my Sony dvp-sr210p. I am not having any luck with the codes shown. Please help as we no longer have the remote to the tv and having one that will at least change input and volume would be fantastic thank you. Do you know any universal remote apps that will work with this TV? I have an Emerson 37 inch LED TV but no remote. Its not a smart TV. Just a plain flat screen. Yes just about any remote app will work as long as your phone has an IR transmitter. Other remote control apps work over wifi but if your TV is not a smart TV it will not work. 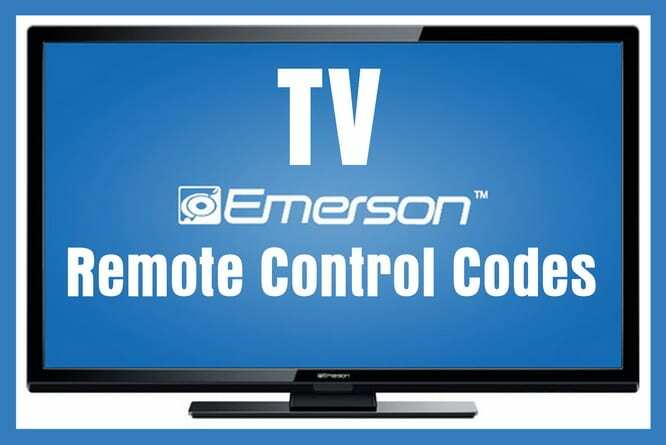 Try using the codes on this page above to control your Emerson TV with any universal remote. Try the codes at the top of the list first…. those are the most likely to work for your Emerson TV. I am trying to program a universal remote for the same TV and same model number. Let me know if you have any luck. I bought a 46″ Emerson TV and have tried several codes any ideas? I am trying to set up an Emerson 40 in 1080P LCD LED HDTV with RCN Cable company but none of the 4 digit codes they provide for Emerson connect to our TV, any suggestions? Try these new codes for emerson tv 0236, 0463, 0019, 0154, 0177, 0178, 0179, 0180. We just received an Emerson 40 inch HDTV LCD LED 1080p TV. When programming the codes we were not able to turn on the TV nor use the volume on the remote for our cable or the remote for the TV. What can I do? Which remote control are you using to program the Emerson TV, the Emerson remote or the one for your Cable box? Code for Emerson TV 50 inches for universal control? Have a UCL 152. Can you give me the code for Western digital TV box please. A remote code that should work with the WD TV box is 0839. If that does not work try the “learn” button on your remote or download the app that will let you control your WD TV box.